Last week I headed over to Covent Garden and Bloom Perfumery to try some exquisite fragrances from Arquiste Parfumeur. 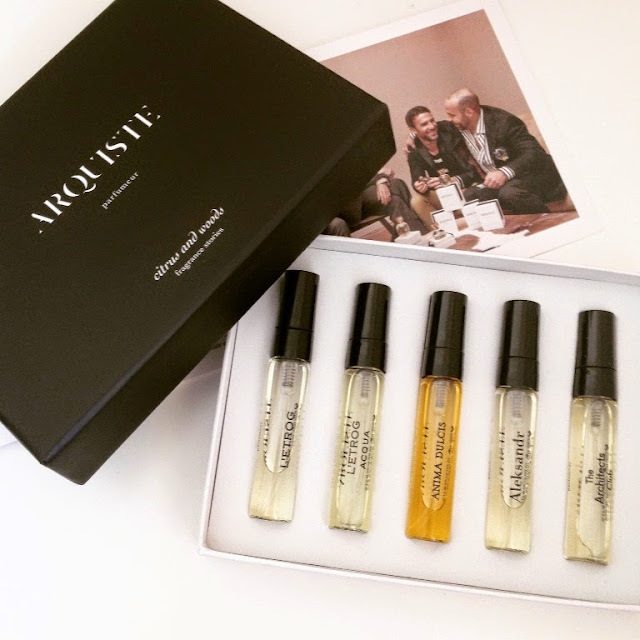 Arquiste is a fragrance collection that transports the wearer to evocative moments in history. Notes - Juniper berry oil, Angelica roots, Lemon, Bitter orange, Pepperwood, Guaiac wood, Oakwood, Vanilla absolute and Amber. My thoughts - I fell in love with the story before I had even tried the scent... happily the fragrance lived up to expectation, this is a deliciously seductive and intoxicating vanilla perfume that manages to be elegant and warm without being cloying. I would wear this in the evening. Evening, October 1175, Calabria, Italy. The story - An unconventional citrus fragrance celebrating the evening gathering of Calabrian farmers. Within a cabin built of palm leaves and other woody branches, an aromatic bounty of citrus and lush date fruit envelope the sweet warmth of the Mediterranean night. Notes - Calabrese cedrat, Calabrese bergamot, Sicilian lemon, Myrtle, Jasmine, Pistachio tree resin, Date fruit, Vetiver and Cedar wood. I love this cool, fresh citrus scent. A delightful Summer scent that I would happily wear day and night. The story - Rediscovering the olfactory traces of the Viceregal convent of Jesus Maria, where Mexican nuns worked on complex recipes of spicy, sweet scents. Baroque, complex and sensual. Notes - Smoked chilli infusion, Sesame seed, Cinnamon bark, Oregano, Mexican vanilla, Cinnamon, Cedar wood , Frankincense and Cocoa-bean absolute. 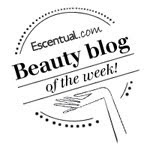 My thoughts - I do enjoy gourmand scents and this one is sweet and spicy in equal measure. Rich, dark and full of depth, this is for serious connoisseurs of gourmand and one that I would wear in the evening. Delectable. Early Morning, October 1175, Calabria, Italy. The story - The day after, the morning dew has been absorbed by the citron in the green fields of Calabria. A juicy, green, tart fragrance with a classic Italian feel and an elegant woody base. Notes - Myrtle leaf, Calabrese cedrat, Sicilian lemon, Italian mandarin, Petitgrain citronnier, Bergamot, Mediterranean lavender, Labdanum, Cedar wood and Vetiver. My thoughts - A slightly sharper citrus scent, this is definitely greener than the classic citrus scent of L'Etrog but equally addictive. January 1837, St. Petersburg, Russia. The story - Taking you through the account of a fiery gentleman's duel in a forest outside St. Petersburg. A scent that travels like a bullet in the air, from a cold exterior to a warm heart. Leathery, sophisticated and warm. Notes - Neroli, Violet leaf, Iced vodka accord, Cognac, Russian leather and Musk accords, Birch leaves, Fir balsam and birch tar. My thoughts - Aleksandr is by far the most masculine of the scents in this collection. I must admit I struggle to detect the alcoholic notes in this fragrance at first spray, the overriding note for me is the Russian leather and musk accords. That said it is an unusual and sophisticated parfum but one that I shall hand to my husband to use.